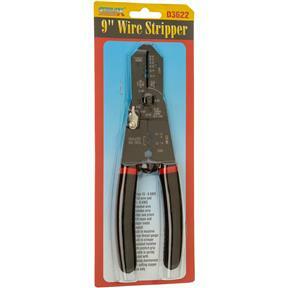 These 9" Wire Strippers will ream and deburr metal conduit. 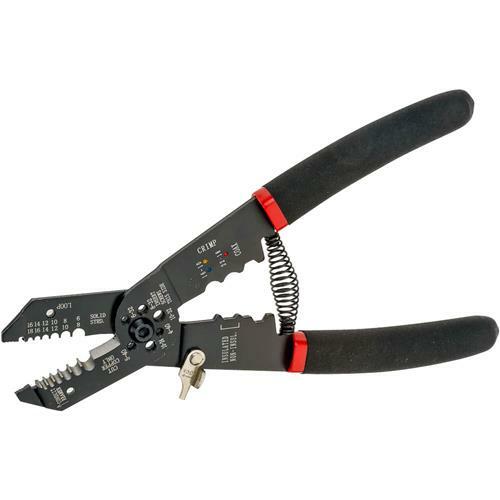 Have built-in wire cutters and pliers, machine screw thread gauge, crimper and insulated handles with comfort grip. Handle is spring loaded with a locking mechanism. Strips 16 - 6 AWG solid wire and 18 - 8 AWG stranded wire. For copper wire only.